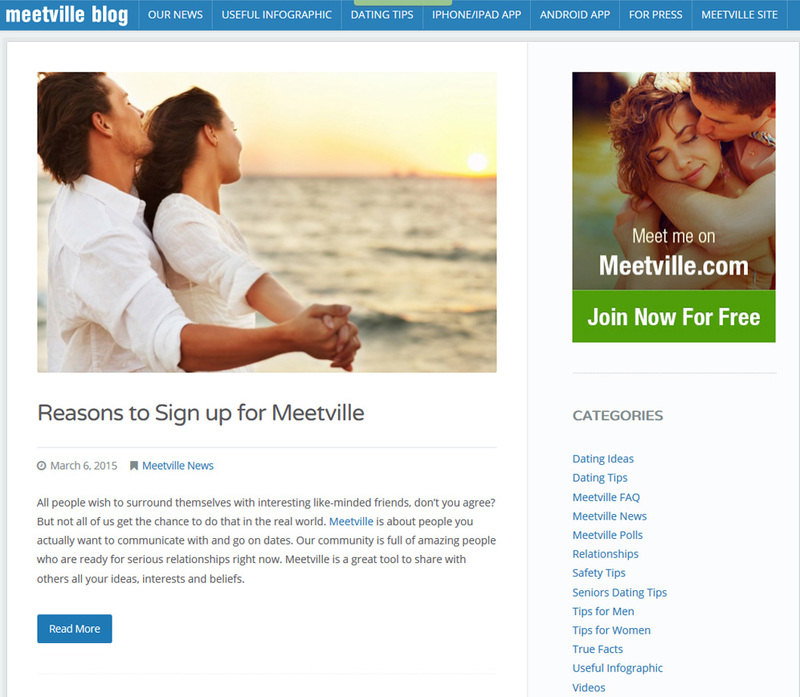 Looking for an easy to use dating site that is available on a variety of portable devices, then you will like Meetville.com. "This is a dating app that matches people according to their interests and values," as reported by the Public Relations Director, Maria Quinn. There are over 15 million users many from the United States, Belarus, India, Canada, United Kingdom, and elsewhere. Most of which are women, according to online reports. Past information about the dating site showed there were once more men that joined the website than women. Most members are 30 plus as of this writing. Many of the daters have attended some college and access the site at home and work. Meetville is definitely a site that is compatible with today's technological devices. You can access the site, not only via the computer, but also by using an Ipad, Iphone, and Android. The app is available in the App store or Google Play depending on what device you have. The website load time is average, unlike some popular dating sites it doesn't load as fast. On the front page you give basic information like your gender and where you are from. Then you place your name or nickname, birthday, email, and password in the boxes provided. You will have completed sign up. It only takes minutes. Once you are registered, you can manage your profile such as: upload photos, set privacy settings, adjust chat settings, change personal information, etc. 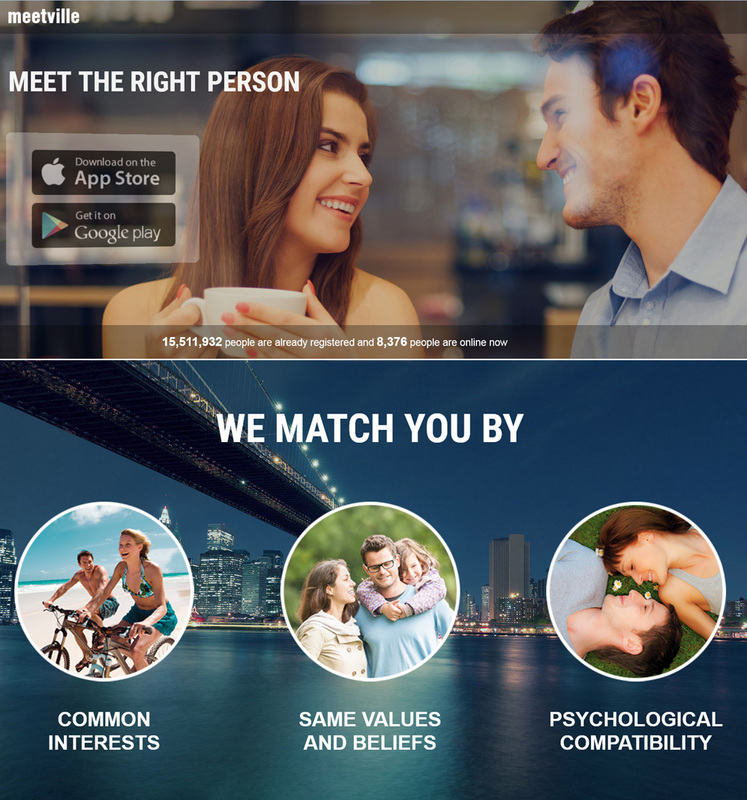 You will answer basic questions and soon discover similar matches based on your responses. Browse profiles, "wink" to show interest, chat, instant message, and like photos-this can all be done without paying a thing! There are unattractive people, but there are also nice-looking ones too. If you find someone you like, there are additional services to make an intimate connection or meet new friends. Now if you want to communicate with dates privately, you can buy a VIP subscription. You will need to sign up to find out the current rate. What many users like about the site when it comes to cost is that they have the option to pay, but it isn't required. The site is indeed free to use! Other dating sites charge members as soon as they join, they have automatic renewal subscriptions at high prices and change costs often. Currently, Meetville doesn't do any of that, according to satisfied members. The site has opinion polls that help with learning more about the dating community. There are safety tips that quite boldly tell you, "No social networking or dating site is safe, including Meetville." There is fraud and scam information provided, it is highly recommended you read it. You must be 18 years old to use Meetville and there is a Meetville Guidebook which isn't typical of most dating websites. It acts as a user manual that advises you on things like: uploading your own photos, respecting other users, send unique messages to other users, warnings against insulting others, and creating fake or group profiles, and more. Meetville is strict about banning and blocking its members. Members who have rated this site high at various dating review sites said, they didn't experience any scams and have met some good people on there. They suggest be honest from the start when answering questions like what you are looking for and what you want out of a relationship.